Create unique Adobe Connect experiences with additional room pods. MeetingOne’s partners have developed a collection of customized Adobe Connect pods that are sure to generate engagement and interest during your online events! You can only get these pods with Adobe Connect! Note: Pods come as .SWF files. To place in a Adobe Connect room, upload the .SWF file into a Share Pod. Free to download and use! What are you waiting for? Allow users to remain anonymous in discussion to promote participation. Visualize your live discussions with colorful Word Clouds – fun & engaging! Fun game that scores individual players on their reaction time. Create one-of-a-kind experiences with these powerful Adobe Connect pods. They’re great for online meetings, trainings & webinars! 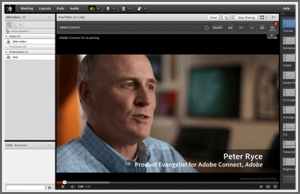 Easily play YouTube videos from Adobe Connect during your live training or event! Add educational games to your Adobe Connect rooms. 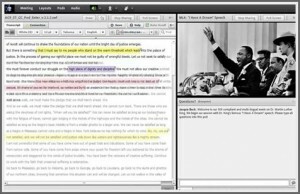 Facilitate real-time captioning to ensure 508 compliance. 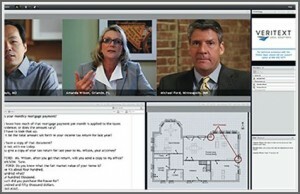 A comprehensive live legal video deposition and transcription solution. 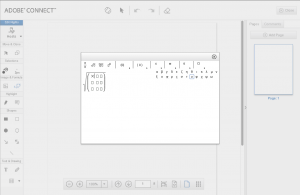 The most powerful and extensible whiteboard for Adobe Connect. Contact us about your custom pod needs. We can help find the right solution for you, or we will build it ourselves! Ready to customize your Adobe Connect experience?